A cylinder (more commonly called “scuba tank”) holds compressed breathing air that you use during the dive. Modern scuba tanks are made from aluminum alloy or steel alloy and are rated to hold pressures as high as 200 bar/3000 psi. Your dive regulator attaches to the cylinder valve. How to choose a cylinder? 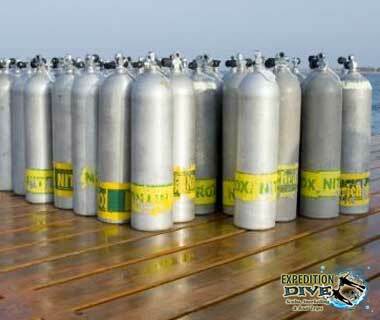 Your primary considerations in choosing a scuba tank are size, capacity and buoyancy. You generally want the largest tank you can wear comfortably and carry. But, if you’re a smaller person, a smaller tank may provide ample air to make the same length dive as a larger person with a larger tank. Diving with enriched air nitrox is increasingly common and has a lot of advantages. 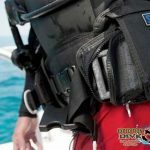 Ask your PADI Dive Shop or Resort about your options for this in your area.Obviously, your regulator and tank should both be DIN or yoke system.